National Armed Forces have received the first 18 "Sportsman Big Boss" and MRZR- 2 military tactical vehicles in scope of the US government’s Foreign Military Sales programme. These vehicles are manufactured by the US company Polaris Government & Defense. “We are delighted that Polaris vehicles are being delivered and will significantly boost the tactical mobility of Latvian Armed Forces, including the National Guard. This vehicle supply deal is yet another successful cooperation initiative between Latvia and the US,” underlined Defence Minister Raimonds Bergmanis. It is planned that in scope of the US government’s Foreign Military Financing programme, National Armed Forces will receive 44 more Polaris military tactical vehicles by the end of 2018. Moreover, in 2020 National Armed Forces will receive additional Polaris vehicles in scope of a programme fully financed by the US government. 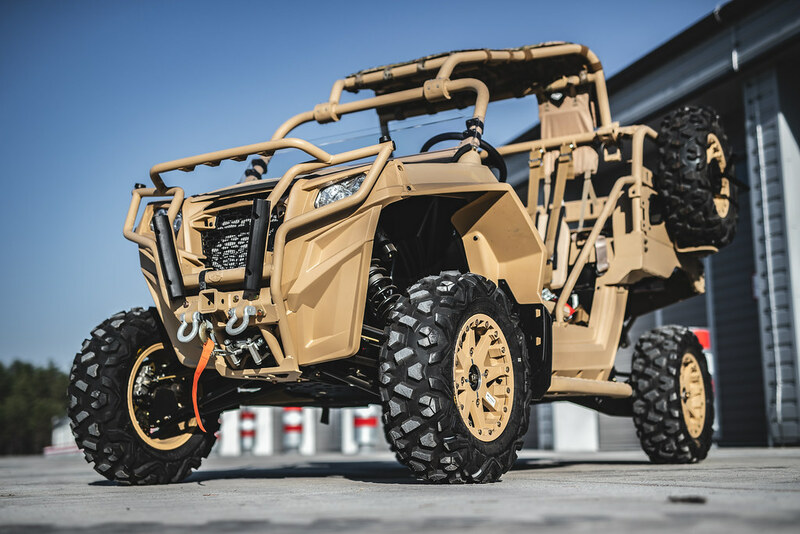 Eventually National Armed Forces will acquire 130 Polaris vehicles of four different types – "Sportsman Big Boss", MRZR- 2, MRZR - 4 and MV850, with the total value of vehicles reaching around EUR 6.8 million. Latvia will allocate approximately 15% of the required funding from its budget. Intergovernmental agreements between Latvia and USA include supply of vehicle parts, engineering support and training. Polaris Government & Defense is one of the largest manufacturers of light tactical off-road vehicles. Vehicles built by Polaris are driven by the armed forces of such countries as the United States and Finland. Polaris vehicles have been extensively used by NATO troops during mission in Afghanistan. Last year armed forces of Portugal and Spain also signed contracts for delivery of Polaris vehicles. The United States began supporting Latvia through various military assistance programmes more than two decades ago. United States help Latvian armed forces by supplying equipment crucial for upgrading its capabilities, including communication systems, night vision equipment and vehicles.